Independent South London girls’ school, Streatham & Clapham High School, are swelling their profile with a regional bus advertising campaign from Transport Media in order to promote their upcoming open days. Using the dominating bus mega rear format, the school will see themselves projected across double decker vehicles in London, launching on the 26th August for a total of 12 weeks. 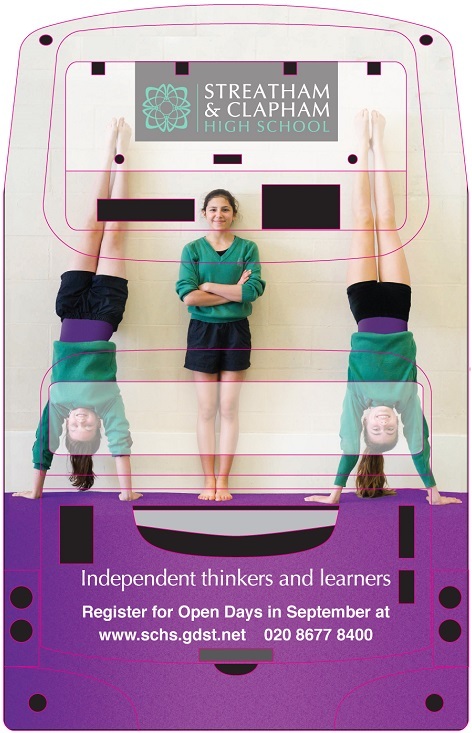 The advert displays the photographic image of three students performing gymnastics, reinforcing the strapline ‘independent thinkers and learners’. The Streatham & Clapham High School logo is presented across the upper deck, with the school website and contact telephone number along the base. An independent, academically selective school for girls aged 3 to 18 years, Streatham & Clapham High School enjoys a position above the national average, with record A Level results this year. In addition to core education, pupils are given access to a spectrum of extra-curricular activities spanning the arts, geography, music, languages and include sports such as athletics, football, hockey, netball and trampoline. The mega rear bus advertising format allows Streatham & Clapham High School to experience long-range, high-impact visibility, with access to both pedestrians and road users. 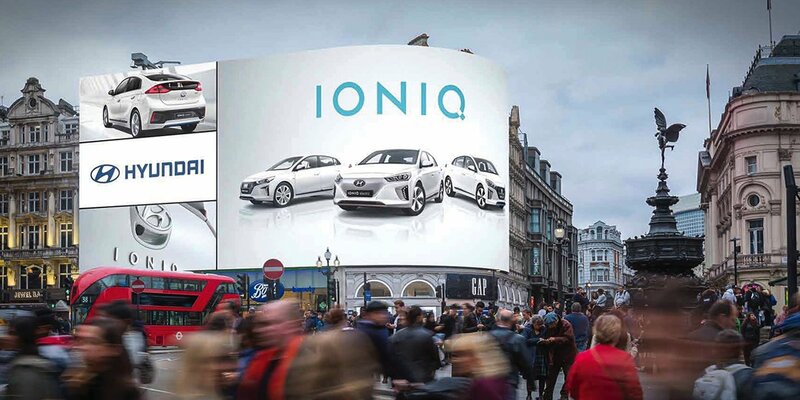 The large creative platform benefits from an extended dwell time, particularly during periods of traffic congestion, with the mobile vehicle granting continuous exposure for the campaign.